At HealthLabs.com, we do everything that we can to ensure your personal information is kept safe. We operate under all federal and state laws that regulate medical privacy, including the Health Insurance Portability and Accountability Act (HIPAA) Privacy Rule. 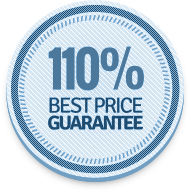 We even encrypt your data with industry-standard 128-bit encryption, so that we can protect your information and transactions while you are on and using our website. The Health Insurance Portability and Accountability Act of 1996 (HIPAA) protects your information from unsolicited access, health care fraud, and abuse. Additionally, HIPAA protects your privacy by preserving your right to decide who can access your health information. 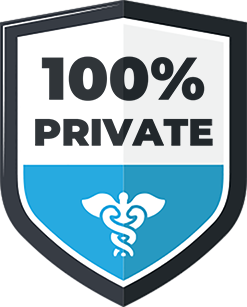 HealthLabs.com complies with the HIPAA Privacy Rule as part of our pledge to keep your information safe and secure. Upon purchasing any of HealthLabs.com's testing, you can be sure that your privacy and information is safe and secure. From encrypting your data, to adhering strictly to HIPAA and not storing your sensitive information, HealthLabs.com is all about keeping your health your business. Our system is protected by a 128-bit secure socket layer (SSL) encryption and the health industry's standard HL-7 interface. Whether you call our counselors to complete your order or place your order online, your information is protected throughout the entire process. We refer you to one of our 4,000 test centers across the nation, meaning your information is protected from the very beginning to the very end. We are able to prevent your testing from being reported to your insurance company and your results from being placed on your medical record by not accepting health insurance as a payment method. Instead, we accept numerous other payment forms for your convenience including: credit and debit cards, prepaid gift cards bearing the Visa, MasterCard, Discover, or American Express logo, cashiers checks or money orders, PayPal, health savings accounts (HSAs), and flexible spending accounts (FSAs). Any charges on your statement will appear from "HealthLabs.com". After services are complete, we do not store your personal or financial information. Test results are available within 1 to 3 business days after your lab visit. Once your results are ready, you will receive an email from "HealthLabs.com" letting you know that your lab test results are available to view and download in your online account. Our care advisers are available by phone or online via livechat to guide you step-by-step through any online process, and physicians are available for a consultation if your results mandate it.